Nurdan Demirci Sankir is currently an Associate Professor in the Materials Science and Nanotechnology Engineering Department at the TOBB University of Economics and Technology (TOBB ETU), Ankara, Turkey. She received her M.Eng and PhD degrees in Materials Science and Engineering from the Virginia Polytechnic and State University, USA in 2005. 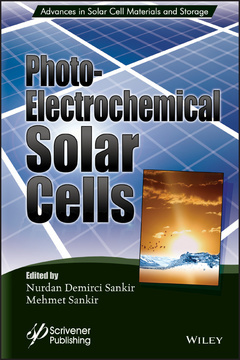 Nurdan has actively carried out research and consulting activities in the areas of photovoltaic devices, solution based thin film manufacturing, solar driven water splitting, photocatalytic degradation and nanostructured semiconductors. Mehmet Sankir received his PhD in Macromolecular Science and Engineering from the Virginia Polytechnic and State University, USA in 2005. Dr. Sankir is currently an Associate Professor in the Department of Materials Science and Nanotechnology Engineering, TOBB University of Economics and Technology, Ankara, Turkey and group leader of Advanced Membrane Technologies Laboratory. Dr. Sankir has actively carried out research and consulting activities in the areas of membranes for fuel cells, flow batteries, hydrogen generation and desalination.